It's been a while since I've made any predictions on this blog. It used to be my trademark, kind of, until the agenda of the Unity folks became so transparent that just about anyone could predict what they would do next. Still, I pull out the old swami hat on occasion when the need arises, and I think we're there with this proposed contract. People want to know whether this contract will pass. Mr. Talk predicts: Yes. Yes it will. In fact, it will be a landslide victory (for Mulgrew, but not for teachers). It will be at least 75% in favor. Most teachers don't even know what an ATR is. Really. Ask around your school. You'll be amazed at the level of ignorance of educated people regarding what's happening to their peers. While I'm not a chapter leader, many teachers come to me to ask about union matters, because I know more than most actual CLs and people trust me. I remember telling one teacher friend of mine about ATRs. She was surprised that the union could allow this to happen, but she wasn't concerned because she believed it could only happen if you were a lousy teacher. A few months later, she was brought up on absolutely trumped up charges, fined, and told never to darken the doors of our school again. She has been in limbo ever since, despite being quite a good teacher. To sum up, most teachers think like my old friend. If they even know what an ATR is, they believe it can't happen to them. Until it does. This contract is better than most teachers thought it would be. Since the 2005 contract disaster, most people who understand the union believed that the 2014 contract would cheat us out of the 4 + 4% increases that all other municipal unions got. Even those who know nothing about the union assumed that money was a lost cause. And although I hate to admit it, even the venerable Mrs. Talk thought I was crazy when I said we'd get it for sure. 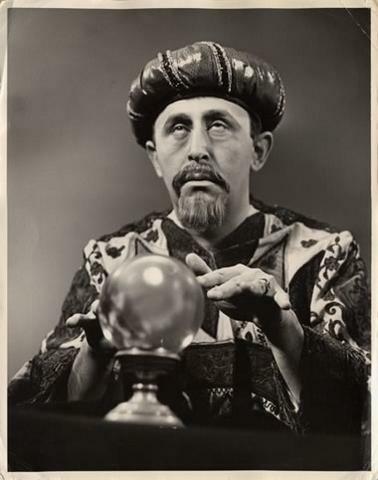 Not to brag about my fortune telling skills, but I predicted before the election of de Blasio that the new mayor would shoot for a long term contract. I thought it would be 7 years, with increases of 4, 4, 0, 0, 1, 2, 2. I wasn't far off. The new mayor had to make such a deal, because there was no way he could break the pattern. That would have meant chaos when dealing with the 150 other unions waiting for their new deal. By giving us the 4 + 4 we were owed and giving us crap for the rest of the years, the city could claim (rightly) that they didn't break the pattern and then impose the new low pattern on the rest of the unions. This is exactly what happened, except it was stretched to 9 years, with 7 years of below inflation raises. Since expectations were so low, getting the 8% back money, as well as some money going forward, will entice many teachers to vote yes. There's a bribe included. Just check yes on your ballot, and win $1,000 immediately, just in time to put it towards your summer vacations! In a way, this is the most cynical, despicable part of the contract. It won't be part of our permanent salaries, it likely isn't pensionable, and it's designed to push teachers in straitened circumstances to approve this contract. The "Back of the Line" Myth. Mulgrew and his minions claim that if this contract is rejected, our union will go to the back of the line and have to wait until all other unions have settled. Many teachers believe this, but it's absurd. First of all, does anyone really believe that de Blasio wants to deal with the PBA or the Firefighter's union before he settles with us? Those are pretty strong unions with binding arbitration. If they set a higher pattern than teachers are getting, it would be a disaster for de Blasio. Secondly, we have experience here. The membership rejected a contract in 1995, and it was settled about 6 months later, if I recall correctly. Finally, even if the myth is true, what of it? You're going to have to wait for the vast majority of your money until 2016, when it will begin trickling in, and you won't get the full amount owed you until 2020. Even if de Blasio foolishly puts us at the end of the line, the line itself doesn't extend until 2020. You think you might get some of that juicy "totally not merit pay" money. Yes, you're a great teacher. Many of you probably deserve the title of master teacher. But you won't get the job. Not unless you are the favorite of your principal or are willing to brown nose your way to the top. A Fire Department EMT and his gal pal, a city teacher, were busted for peddling heroin and prescription drugs during a police sting operation, officials said. It sounds as if this "gal pal" was teaching by day and dealing by night, doesn't it? What you don't learn until you dig down to the bottom of the article, is that this woman has not taught in SIX YEARS, and when she did, she taught as a sub for a total of TWO DAYS. But why pass on the opportunity to smear teachers? The NYDN and the Post never do. Are we really afraid that they're going to say bad things about us this late in the game? We finally lose the 37.5 minutes of small group instruction. Yes, but it's reconfigured as PD. You can bet that these long, long PD sessions will be used to give you new mandates that you'll be told to carry out. You'll be begging for those kids back in short order. We can't do any better than the current contract. Now, this one I almost believe. Given that the union has had years to formulate a plan and a union friendly mayor to deal with, it's hard to understand how we ended up with this turd of a proposal. I have little faith that Mulgrew could do any better if we sent him back to the negotiating table. I am one of the few folks who would probably benefit by voting yes for this proposal. I am of retirement age now, and thus assured of a higher pension as well as getting my back pay, eventually. Yet, I'd never vote for a contract that sold some of our members down the river, nor would I vote for a de facto merit pay contract that would pit teacher against teacher. But 75% of you will. You heard it here first. You're one of the wisest people I read. Are you certain of the landslide? Hey oldDOEnuts. Been missing your commentary. Frankly, I think the outcome will be worse, but I'm settling on 75%. There's just enough good stuff in the proposal to make people grab for the money, and not enough bad stuff to make them vote it down. I hate to say it, but the union membership in general are sheep. They do what they're told and vote as expected. Didn't Mulgrew win 89% or so of the vote from our members even though he had never negotiated a single contract and had basically given away the store in teacher evaluations? If teachers didn't oppose him them, why would they oppose this contract now? The fact that teachers don't do any homework on their own and are voting out of ignorance proves this is not the profession it used to be....when teachers took an active interest what was happening not only in their schools, but all over, including the country. I bet they couldn't tell you about RTTT and VAM. I was thinking 80-20 so I will take your predictions as better than I thought. I can't say as I disagree with your reasoning. Think I'll just go calculate my 2% raise now. I dont' know what I'd do without your blog! I hope you're wrong, but I fear you're right. You know what the most over hyped thing is in this contract? It's the mentor, ambassador, master teacher thing. Really, it is. There are 70000 plus thousand teachers in the system. How many are really going to get those positions system wide? Ballpark figure coming from me is (and I think I'm over guessing here) is 3 - 5 thousand. LOL - what a joke. Anyway, my guess 65 percent of the rank and file approve. When it was time to vote for union representation, I quickly voted for the opposing slate. When I asked people about how they voted, every single teacher and staff member responded, "What vote." There ya have it. I hope you didn't vote for the bogus UNity front opposition slate New Action. Mulgrew keeps them alive for the very purpose of confusing the membership. I predicted 70 today, but you were closer, Mr. Talk. Congratulations on your ability to predict the future. NYC, this is one of those days when I would have been happy to have been very, very wrong.